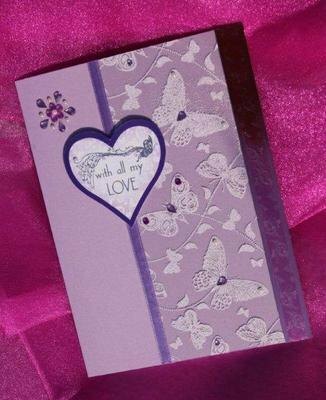 A soft pink 148 x 198 mm card with an acetate overlay 'flittered' with butterflies. 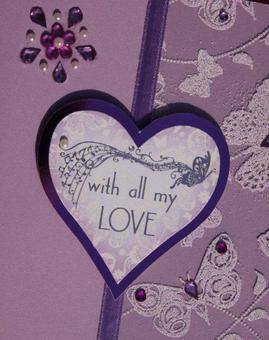 It is further embellished with ribbon and gems and topped with a raised heart motif inscribed 'with all my love', which is mounted onto shiny pink mirri card. 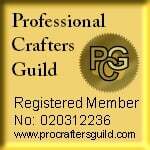 There is space for you to personalise this card with a name, age or other detail at no extra cost. Also available in aqua. Change the message to 'Happy Birthday' or similar using the form below.